The Giselle Collection is a fresh and bold introduction into today’s modern decor. With its adjustable armrests and headrests and stylish metal legs, a stunning presentation is the result. 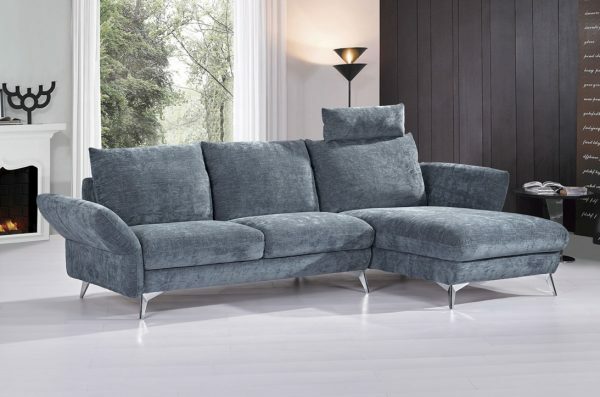 Covered with a plush Dusk Blue velvety fabric and deep cushioning, this contemporary collection offers a modern approach with timeless appeal. Seat cushions are comprised of a high density foam cushion wrapped in polyester fibers to ensure a comfortable, relaxing and lasting seat. The chic design and adjustable arms promote an aura of strikingly modern comfort sure to provide and ensure years of comfort and enjoyment.